It was only a matter of time before country music legend Willie Nelson returned to his roots and made a classic country album that actually sounded classic. He’s dabbled in jazz standards, blues and reggae. Now, he’s back with an album that’s every bit as strong as his early days. 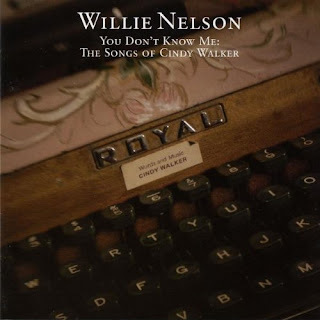 Paying tribute to Country Music Hall of Fame songwriter Cindy Walker, Nelson has taken her songs and absolutely claimed them. The songs on this disc may not have been written for Nelson, but they certainly sound as if they were. From the understated humor of “Just Walkin’ Out the Door” and “It’s All Your Fault” to the carefree ramblings of “Sugar Moon” and “Don’t Be Ashamed of Your Age,” it’s obvious that Walker was an inspiration to Nelson’s early writing. Nelson’s conversational singing style is as warm and inviting as ever and perfectly captures the heartbreak and humor prevelent throughout the disc. There’s no studio gloss thrown in just for the sake of using it. Producer Fred Foster knew it was best to just let the musicianship shine through. Johnny Gimble, who had played on many of the original recordings by Bob Wills and the Texas Playboys, appears on fiddle and Buddy Emmons rocks the steel guitar. Without a doubt, You Don’t Know Me: The Songs of Cindy Walker is the best country album of the year. It’s one legend’s tribute to another. This is the perfect disc to just kick back, sip your favorite beverage and just relax to while enjoying some of the best songwriting you’re likely to hear. We may have had to wait for an album as classic as this from Nelson, but this was certainly worth it. You Don’t Know Me is this decade’s Stardust.